DISNEY MAD HATTER – Whether you love Alice in Wonderland, Johnny Depp or both, you will love these Disney Mad Hatter Eyebrows. These bushy brows will finish off your Mad Hatter costume perfectly. GET MAD: Get mad as a hatter with these deluxe Mad Hatter eyebrows. Top off your costume with the Mad Hatter hat with its long orange locks and you will complete your deranged look. STAND OUT: The Mad Hatter is the most infamous character in Disneyâ€™s Alice in Wonderland. Stand out from other costumes when you stick these unruly fuzzy eyebrows on your face. 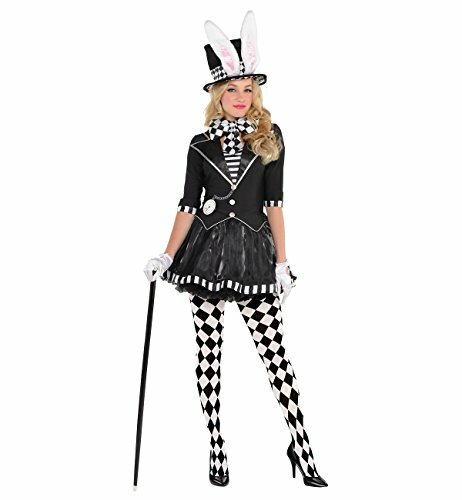 COSTUME PARTY: Celebrate your child’s birthday or your own in style with an Alice in Wonderland theme party. These hairy orange eyebrows make the perfect Mad Hatter costume accessory. EASY COSTUME: These deluxe Mad Hatter eyebrows are self-adhesive and easy to apply. Wanna go all out? Just add Elopeâ€™s Mad Hatter hat with the attached orange wig and you are all set.